The Belgian royal family’s official chocolate supplier, a forerunner of chocolate made from the cacao up. Pierre Marcolini is one of Tokyo’s best known chocolate shops. The Japanese location opened in 2001. According to sources describing the opening, lines were forming outside the store from the very beginning . This is still true today. Lines of customers have been a common sight at this chocolaterie from Brussels, Belgium, since its opening in 2001. The 2015 book “Tokyo’s Best Patisseries” calls Pierre Marcolini a forerunner of the current chocolate culture . This is because of how he approaches cacao beans. A forerunner of the “bean to bar” movement which changed Japan’s chocolate culture...The biggest thing that sets it apart is the making of coverture starting from the cacao beans. He started this around 15 years ago, long before the phrase “bean to bar” even existed, saying ‘Other people’s couverture just doesn’t create the taste I’m really looking for. Since 2010, “bean to bar” style chocolate, which focuses on details starting right from the selection of cacao beans, has been gaining popularity. But Pierre has been using the same kind of serious approach to cacao beans for a very long time. As a result, he is now recognized as an official chocolate supplier for the royal family of Belgium, the kingdom of chocolate itself. This pursuit of serious ingredients and flavor is a noble path that isn’t swayed by short-lived trends. 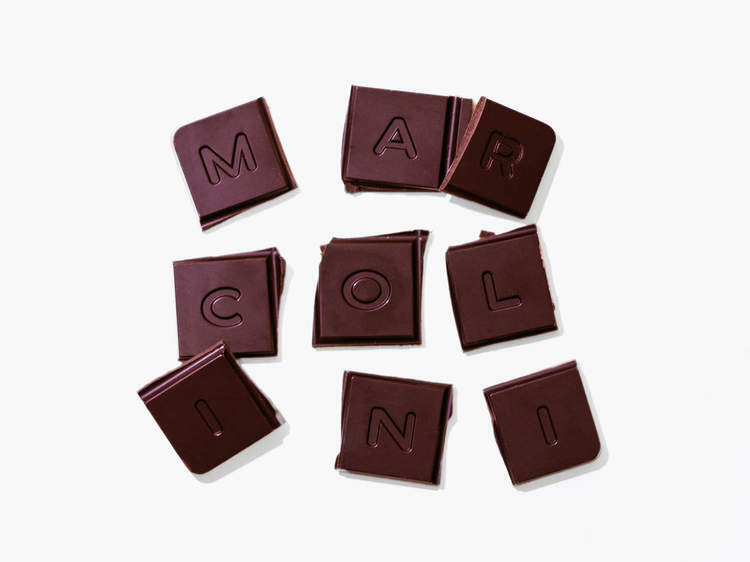 Pierre Marcolini continues to support Tokyo’s chocolate culture even today by creating excellent products.